Opportunities to Improve The Education system in India. Encourage Experiential Learning. Education is indispensable to the development of a country as the progress of a nation depends upon the quality of education that is being imparted to the citizens. If quality education broadens the mental level of the people of a country, improper or unsuitable education plays havoc with the growth of a country. Indian education system seems to have progressed a lot during the past couple of decades, but there is still a lot to achieve. Let us discuss the ways to improve the education system in India. Experiential learning is the need of the hour in Indian Education System. Majority of the educational institutes focus on teaching theory due to ever-increasing desire to achieve higher grades and ranks, and hardly any importance given towards experiential learning. As a result of this, students are able pass the exams and obtain the degrees, but they fail understand the logic and concepts behind what they studied. As a result of this, the students will not be able to practically utilise the knowledge they obtained as they progress further in their careers. Hence, the education institutes should adopt experiential learning methods to make the students understand the concepts, logic and reasoning better. Most of the colleges schedule industrial tours once or twice in a year, the reason behind this is to make students relate their knowledge to real-time working models. Once in a while industrial tours will not really help students to relate all the knowledge they obtained to real-time applications. Hence, exposing students to real-world case studies should be very much part of the curriculum. Also, this should start from schools, not limiting to only colleges. A number of patents being filed by other countries vs India tell the story about our ability towards inventing new things. The sad part is, there are a lot of inventions that won’t get notified as well because of the absence of proper structure and format to demonstrate. Starting from a young age, every teacher, parent and educational institute enable students to participate in creative forums. The institutes can create platforms internally and also collaborate with external forums. There should be enough importance given towards creativity and innovation from childhood. The students should be challenged to think differently, to come up with new ideas and to apply the knowledge they obtained to invent new things. 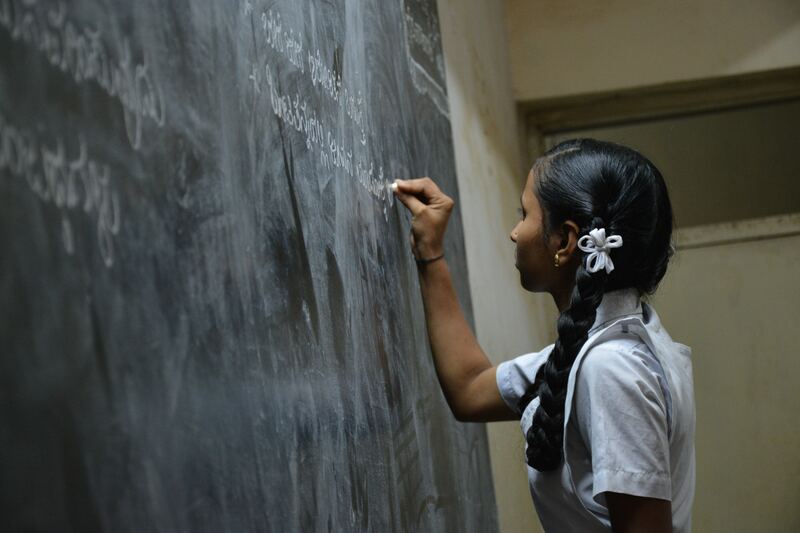 In order to keep pace with the progress made by other countries, India must make some much-needed changes to its seemingly outdated education system. The need of the hour is to promote skill based education so that education can be related to job opportunities or it should develop some skill in the student. Leaving behind the obsolete teaching system, there is an urgent need to create new ways or techniques of imparting education. Skill based education must be promoted keeping in mind the taste and requirement of the students. There is also an urgent need to focus on the education of the students belonging to rural areas. Rural areas lack in the proper infrastructure, qualified teachers, enrolment of students, etc. Lots of children living in villages remain deprived of the quality education only because they are living in remote areas. The effective implementation of the policies framed for the development of the education sector must reach the people who are really in need of it. Teaching is not just another job. Teachers with passion would make the fortunes of the kids, they have the power to influence the kids in any way and lead their future. The teachers will not be able to teach the students properly if they do not keep themselves abreast of the latest methods of teaching. Therefore, teacher training programs must be organised from time to time to make teachers familiar with the new and latest methods of teaching. Teachers must be highly qualified and capable enough to understand the needs and requirements of their students. This can be done only if there is a focus upon keeping the teachers updated about the latest developments in the field of teaching. Latest methods of teaching need to be used for the optimum progress of the students. Digitization of learning methods has contributed immensely to the increased efficiency in teaching students. 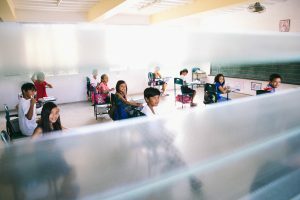 Use of computers, smart classrooms and projectors can make a big difference in the teaching-learning process. Students hailing from rural areas will benefit a lot if taught through the latest techniques of teaching. Cleanliness is also an important part of education and students must be made aware of being clean and healthy. If a well-educated person does not keep his/her surroundings clean, he/she is sure to be unhealthy. To make our country developed, we must inculcate cleanliness among our children who are going to be the citizens of tomorrow. The students belonging to economically backward families need to be encouraged to study. Sometimes it is seen that even a bright student has to quit studies because of the lack of means and resources. There must be a provision of scholarships for the deserving students of rural areas so that they benefit from the boon of education. The scholarships need to be given to those students who really need it. Sports and games must be made compulsory for all the students. It is sad to see most of the schools in cities operate without even a playground. Even more worrying thing is parents also not much bothered about physical activities and focus more on only classroom teaching. A student who actively participates in sports is sure to be more active and sharper than the one who is a bookworm and does not like to play. Children must be healthy and physically fit to cope with the adverse situations in their lives. Parents and teachers must interact with each other to discuss the progress of the child. This enables the parents to understand the needs of their children in a much better manner. They also come to know how their children can improve further. It is a matter of pity that parents in India seem to be reluctant to face the teachers of their kids. The interaction between parents and teachers is a must considering the overall development of the children. Do you want Kolb Labs at your school? Do you want Kolblabs Contact Now!